Why do some competitors do fasted cardio in the morning while others insist on having something to eat first? Fasted cardio provides the benefit of forcing the body to utilize bodyfat for energy due to the fact that there is less available blood sugar and muscle glycogen. 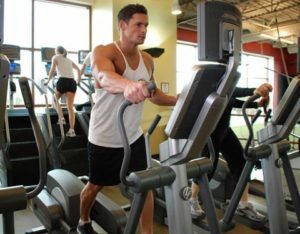 On the other hand, cardio after a meal allows one to work at a higher intensity level and burn a higher number of calories (though a lower percentage will come from bodyfat). The type of cardio you select may depend on your schedule and your preferences. If you have the option, try both and see what works for you.